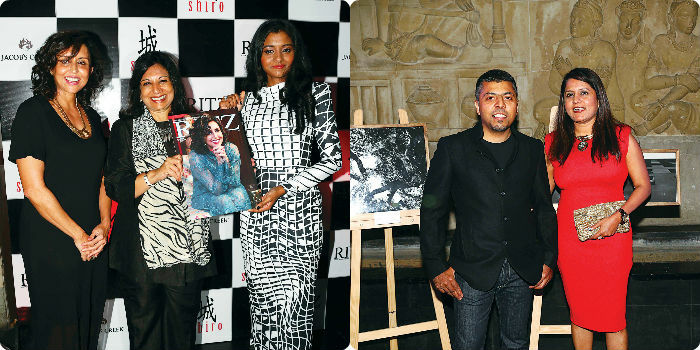 Launching her glossy magazine Ritz officially in our city, Aruna Krishnan invited a select group of people over for a cocktail evening, as Kiran Mazumdar-Shaw did the honours. The crowd also enjoyed an exhibition of Shibhu Aarakala��s photographs. 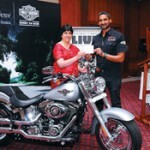 One lucky winner won the much coveted Fat Boy, the gleaming Harley bike that was the grand prize for the draw. 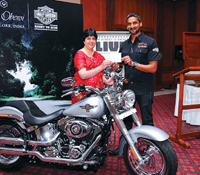 Held across Oberoi properties, it drew to a close over the weekend. The gathering raised a toast to the winner in style over delicious finger foods and cocktails. Celebrating 25 years of hospitality, the Taj threw open their doors to welcome guests, well-wishers and patrons for an evening of fine food and tipple.